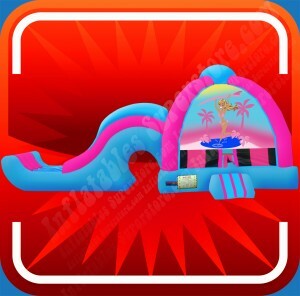 This is a front load dual lane deep-drop inflatable slide. 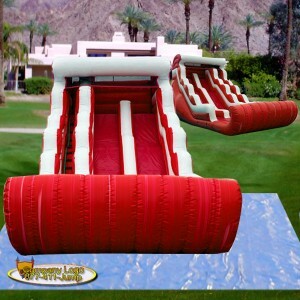 Riders exit to the left and right of the slide. 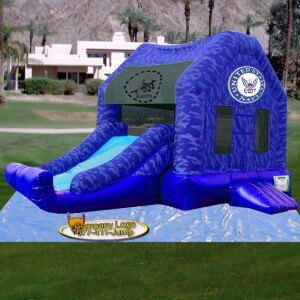 Every inflatable rental operator needs a slide in their rental inventory. 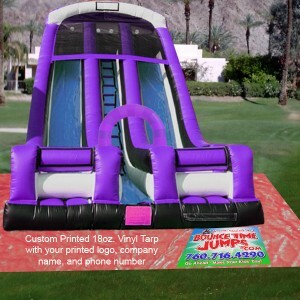 This inflatable slide is available in any color combination that you desire!